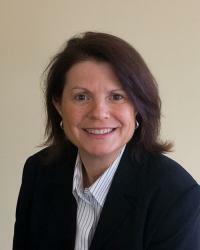 Anne Vaara is the Chief Deputy for the Oakland County Water Resources Commissioner. She is the former Executive Director of the Clinton River Watershed Council. She has been the recipient of many awards, including the 2014 Michigan Green Living Hall of Fame Award and the 2015 finalist for Crain’s non-profit of the year. Anne has an extensive background in environmental land use planning, natural resource assessment and preservation, stormwater and watershed management, and environmental ordinance development. She received her bachelor’s degree in Horticulture and a master’s degree in Environmental Science and Wetland Ecology from Michigan State University and studied Urban and Regional Planning at Eastern Michigan University. She is the Chair of the Royal Oak Planning Commission and also is Co-Chair of the Great Lakes Stormwater Collaborative.